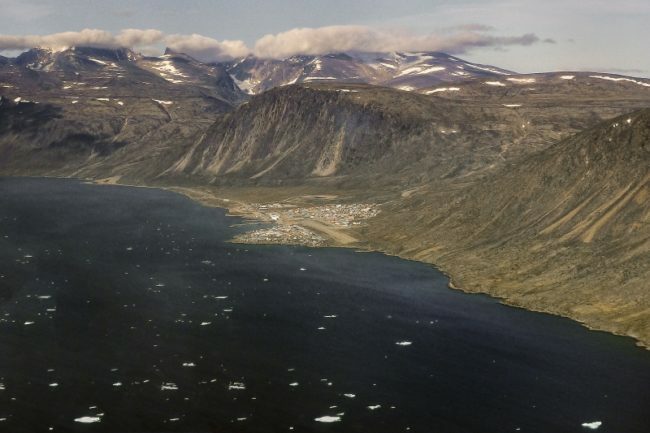 Pangnirtung, A Hiker’s Paradise – The Great Canadian Travel Co.
Pangnirtung is a hospitable hamlet community that enjoys a spectacular location with panoramic views across the vertiginous flanks of Pangnirtung Fjord. It’s a small place, home to about 1,400 people, but has big landscapes and unspoiled nature all around. Prices are shown in CA$, per person, based on two people sharing a twin room or one person in a single. These are “starting from” prices and your actual program price will depend on the availability of flights and accommodation as well as local touring you may add. Enjoy the Northern hospitality aboard your flight from Ottawa via Iqaluit, before landing and getting settled in to your hotel. There’s a lot to look at, and two great places to start to get oriented are the Angmarlik Visitors Centre and the Parks Canada Interpretive Centre. Here you can find out about the community, and also enquire for local conditions reports for your trips into Auyuittuq. Your specific itinerary in Pangnirtung will depend largely upon your personal passions and interests. There is an abundance of options! We’d recommend starting out with a day trip on Cumberland Sound. You’ll get great photographic opportunities, gain a feel for the lay of the landscape, enjoy incredible coastal views, and of course be in the best possible spot for multitudes of wildlife viewing chances. Or, try a trip to Qekerten Territorial Park to see the old whaling station and other artefacts and displays, plus do a bit of hiking nearby. Safety needs to be a priority on this trip as it’s not unusual to see polar bears! Get those hiking boots mucky with a hike in Auyuittuq! There are numerous options, and your local guide will be happy to give you the benefit of years of experience to make the most of the conditions during your stay. You can hike independently, however we do recommend taking a guide – they can offer incredible insights and allow you to become really in touch with the land you travel over, as well as being accustomed to travelling safely through polar bear habitat. The park is a 45 minute boat ride from town, so you get the best of both worlds today! Or you might consider taking another boat ride to take advantage of the fishing opportunities, or perhaps just spend a day soaking up the peaceful way of life in this artistic little community and visiting the cultural centre of town; the Uqqurmuit Inuit Arts Centre. Community tours are available on request. Say goodbye to Pang today, and return to Iqaluit and on to Ottawa. 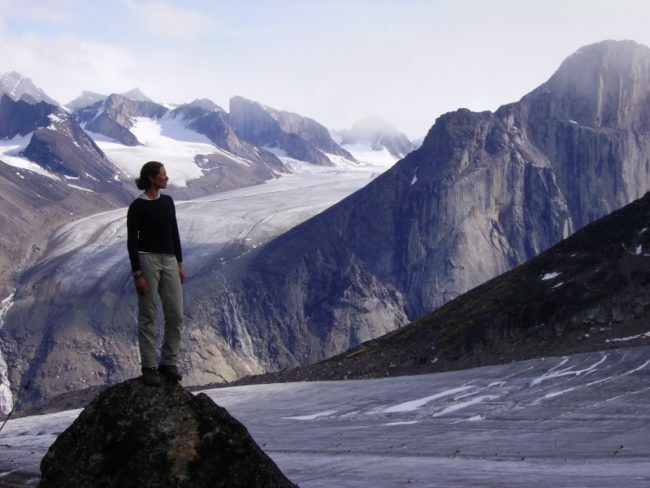 A visitor to Pangnirtung, affectionately known as Pang, will experience the traditional warmth and hospitality of northern communities, but the main attraction here is the wilderness of Auyuittuq National Park – full of incredible glaciers, waterfalls, some of the world’s most enormous vertical cliffs, and dramatically named peaks like Mounts Thor and Asgard. Your visit to Pangnirtung places you within a stone’s throw of 19,089 square kilometers of untouched, glacier-scoured terrain. Sound good? Read on! Hikers, climbers, skiers, and anyone in search of really awe-inspiring scenery should have Pangnirtung on their bucket-list. If you’re an active sort with a passion for outdoor adventure, then Pangnirtung, known as the southern gateway to Auyuittuq National Park, is your mecca. With everything from boat trips to day hikes to multi-day camping excursions, Pang is an outdoor heaven. Like Qikiqtarjuaq, it’s also a great ‘base-camp’ for back-country hiking trips in summer or, for the really adventurous, backcountry ski trips in winter. You’ll also find great wildlife opportunities in Pangnirtung – the hamlet is located on ground borrowed from polar bears, caribou, arctic hares and foxes, and arctic wolves, which can often be seen on your excursions. If you opt for a boat trip then look out for seals, narwhals, beluga whales, and a plethora of terrestrial and marine birdlife. And, don’t panic, if the scenery sounds great but you’re not that excited by getting sweaty hiking up hills, then there are fabulous options to explore the Pangnirtung area by boat and with short land excursions tailored to your desired activity level. Yes, Pangnirtung is pretty great! 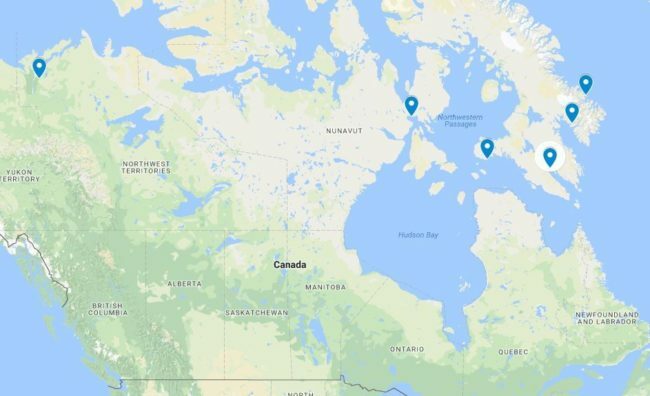 If I chose to travel to Pangnirtung, what might my trip look like? Remember, what follows is just a flavour of the activities available in Pangnirtung. If you don’t see what you’re looking for, contact us as we may well be able to make it happen for you. Our Touch of the Arctic: PANGNIRTUNG program is designed to get you started on your northern adventure. It’s a framework to which we can add anything and everything you need to make your vacation truly yours. When should we go to Pangnirtung? We recommend travelling to Pangnirtung in the summer months to take best advantage of the variety of activities available. However, if you are a skier you might consider a winter visit. Contact us for more information and to discuss your options. How long should we visit Pangnirtung for? 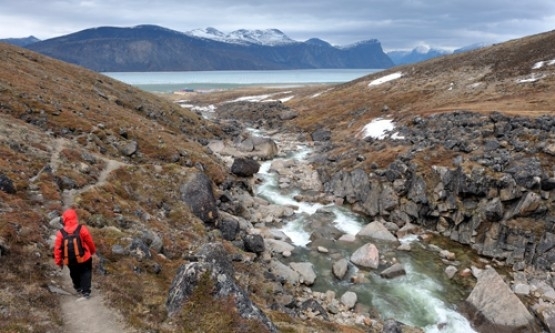 We’d recommend three or four days in Pangnirtung to get a flavour of the area. If you’re a real outdoor enthusiast you may consider a longer visit. Contact us so we can help you decide what the best option for you are. Planning a Back-Country Trip in Auyuittuq National Park? Feel like taking a guide on your back-country trip? So do we, there’s polar bears out there! We’ve got you covered, click here or contact us for escorted touring options in Ayuittuq National Park, and get ready for the wilderness adventure of a lifetime. Ready for an independent journey into the wilderness? All your Auyuittuq back country journey planning should begin with a consultation with the Auyuittuq National Park’s Office in Pangnirtung or Qikiqtarjuaq for lists of services, equipment to bring, and recommended emergency supplies, as well as required permits and safety information. Our wonderful local partners offer transportation to Auyuittuq for day trips or multi-day back country journeys, and can provide invaluable local insights and advice. Remember Auyuittuq National Park is a true wilderness with potentially hazardous terrain, real solitude, dangerous wildlife, and very limited external search and rescue. Great Canadian Travel takes no responsibility for issues that occur on independent trips! However, we can help you with the details and get you started on your wild adventure.